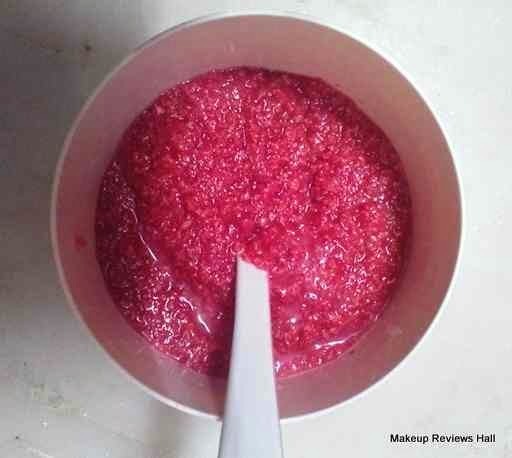 Homemade Whitening Body Scrub is one of those body scrub which so many people look for to get the desired fair looking glowing soft skin. People spend tons of money buying so many commercials skin whitening body scrub, skin polishing scrub, which costs so much for just too less. Not only they are expensive but also contains so many chemicals, preservatives and skin harming ingredients. I absolutely don't mean to say that all commercial brands are so, rather some of them are extremely good but there are few products which actually react on your skin giving you reactions and allergies, specially if you have sensitive skin. So to resolve this problem I have come up with one of the Best Homemade Whitening Scrub Recipe for that super soft glowing skin. This DIY homemade body exfoliator recipe have been personally tried and tested by me with wonderful results. So without wasting any more time let's start with the ingredient list of this homemade body scrub recipe. Sugar - White or Brown - 1 big cup. Prefer using organic brown sugar if you have sensitive delicate skin. 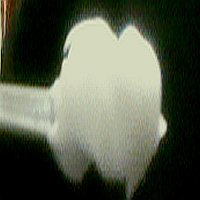 Milk Powder - 2 Tbsp. Olive/Coconut/Almond Oil - half cup. Use any suitable oil as per your skin type, best if extra virgin olive oil since it's super moisturizing and Nourishing. People with acne prone oily skin can use extra virgin coconut oil. Honey - Organic pure honey - half cup. Strawberry Essence - just 8-10 drops. Coloring Red - Red, Pink or any of your choice - 2-3 drop. 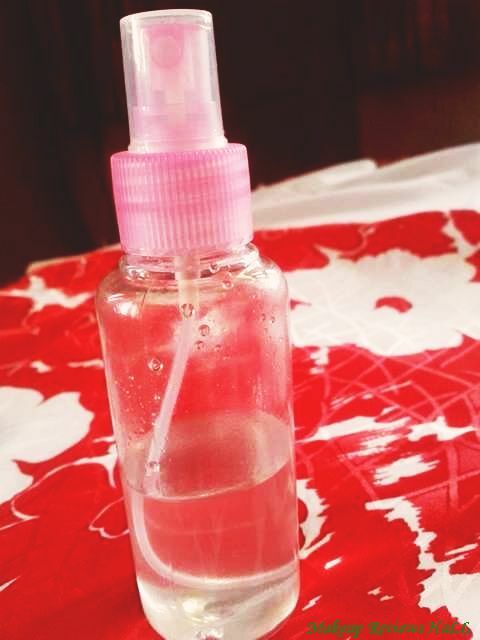 Using more drop could stain your skin, so limit it to 2-3 drops max. Ingredients for Extra Skin Lightening(skip if you have sensitive skin). Baking Soda - 1 Tbsp. 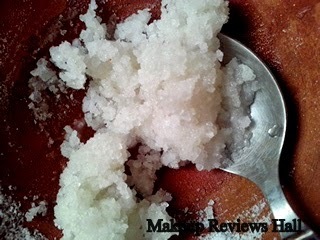 METHOD: The method of making this sugar face and body scrub is super simple and quick. Few ingredients, few simple steps and you are got to go. So let's start. Grind sugar in a blender so it's slightly granulated since I don't like using sugar as whole because it might be little harsh for sensitive skin. Just slightly blend sugar to medium size and not into fine powder because we want it's little rough texture for that gentle exfoliation. The medium thickness granules are just perfect for that everyday gentle exfoliation. 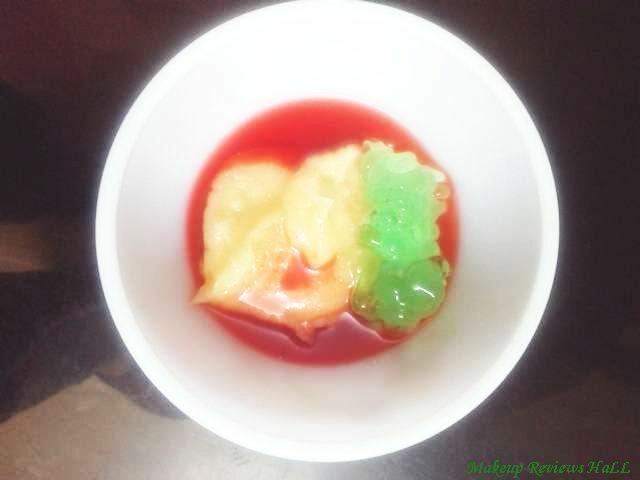 Mix sugar, milk powder and oil blending well to form a smooth paste. Add honey and the essence of your choice and mix well. Now add lemon juice and baking soda (skip if sensitive skin), and mix well. 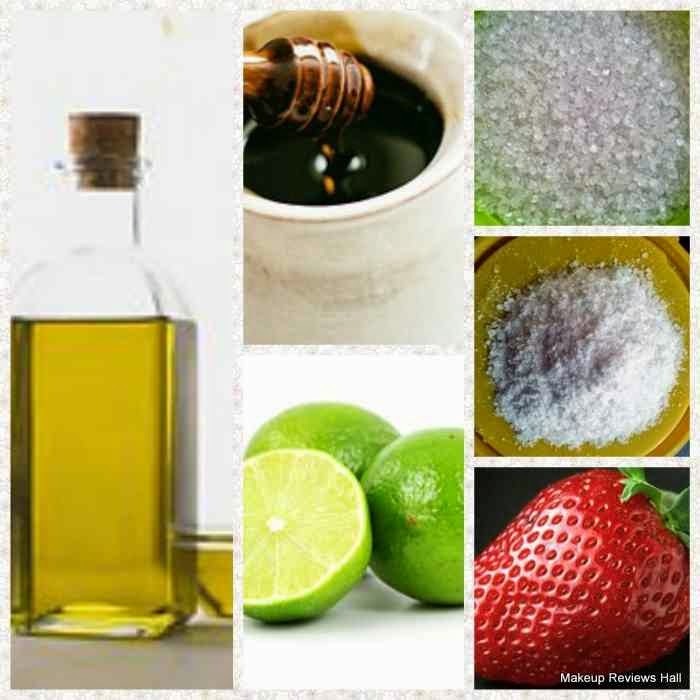 In the end add your favorite coloring agent to add a nice colorful look to your DIY Homemade Sugar Scrub for Face & Body. I like using red and pink colors, you can use any like green, blue if you want to have cool refreshing look. Thats it now you have your own Homemade Scrub. Now just pour this in any glass jar and viola you are done. Apply this scrub on your damp skin, buff it all over rubbing it gently for few minutes removing dead dull skin beneath and rinse with cold water. Pat dry your skin and enjoy your super soft glowing fairer skin. 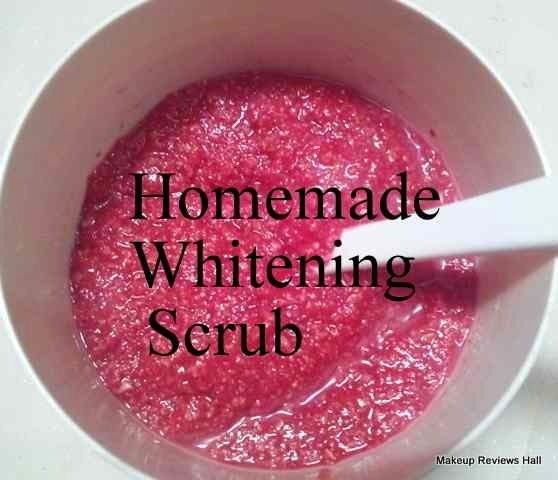 This scrub can be used 2-3 times per week. Regular usage of this scrub will give you radiant fairer looking soft skin without any side effects or reactions since it's totally natural, safe and chemical free. 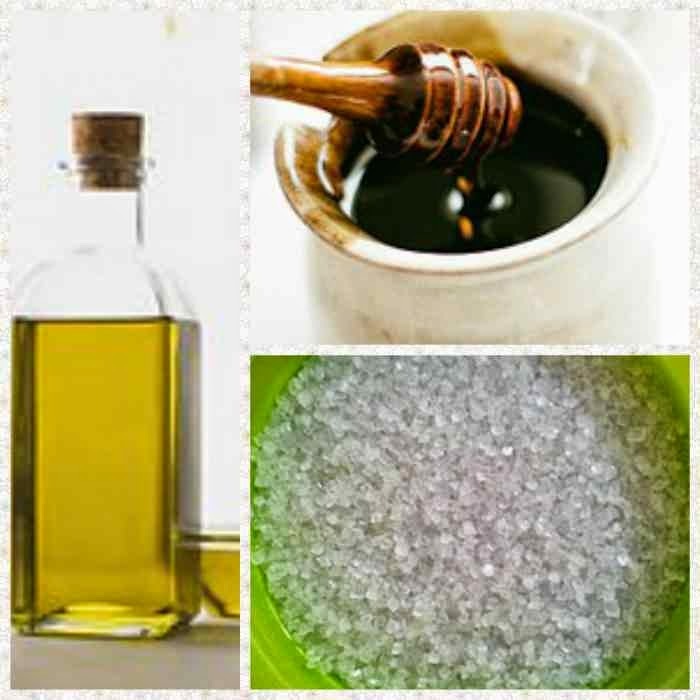 This DIY sugar scrub itself does Cleansing, Nourishing and Moisturizing of skin. Just abrade it all over your body including face, legs arms followed by rinsing with cold water. You won't require to apply any extra layer of moisture after using this specially in summers. 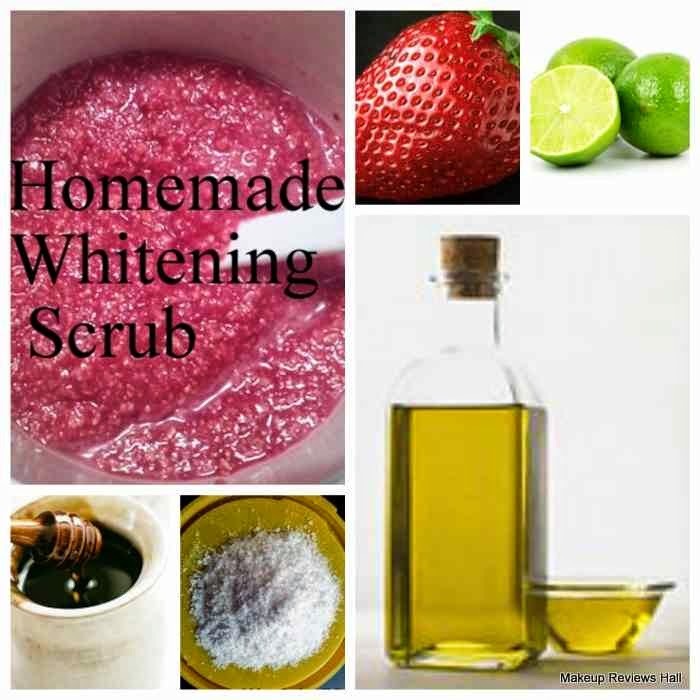 This Homemade DIY Body Whitening Scrub is perfect for all skin types. You can choose and mix the ingredients as per your skin type as listed above. Use this scrub regularly for long term and enjoy beautiful radiant fairer looking skin without any side effects. This scrub can be stored for months in normal climate but if you have hot climate, you can store it in your refrigerator to make it long lasting. 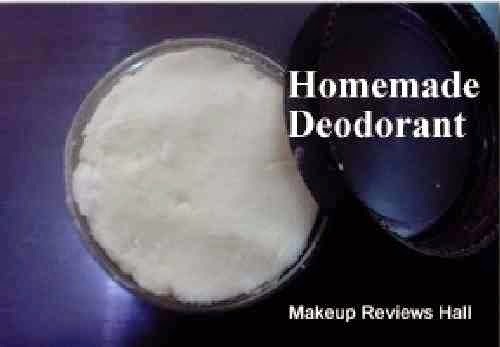 I avoid using any kind of preservatives since it's all natural whitening scrub, however if one lives in hot climate or can't refrigerate the scrub than preservative can be used to make the natural homemade exfoliator last for longer time. Labels: Homemade Whitening Body Scrub Recipe, Natural Exfoliant, SCRUBS, Sugar Scrub Recipe, Whitening Cleanser. What kind of strawberry essence did you use? i ve tried this scrub and it made my skin unbelievably soft. it felt like i had just waxed, it was that smooth and my complexion is getting better. i use it 3times a day. I'm gonna try this too , I'm looking to whiten my skin did ur skin get more lighter too? Can i store this scrub for 1-2 week? Wow, I will prepare it. Let`s see which the effect I will have. 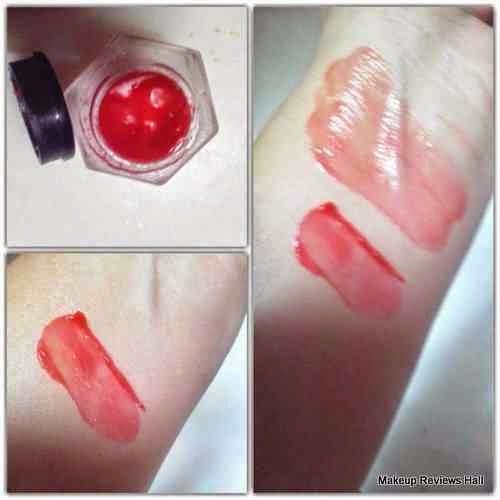 I also try to make cosmetics at home, I recently read an essay on the dangers of the chemical composition of various cosmetics and I assure you that it is better to make cosmetic products by yourself.